This was my Christmas present from my son. 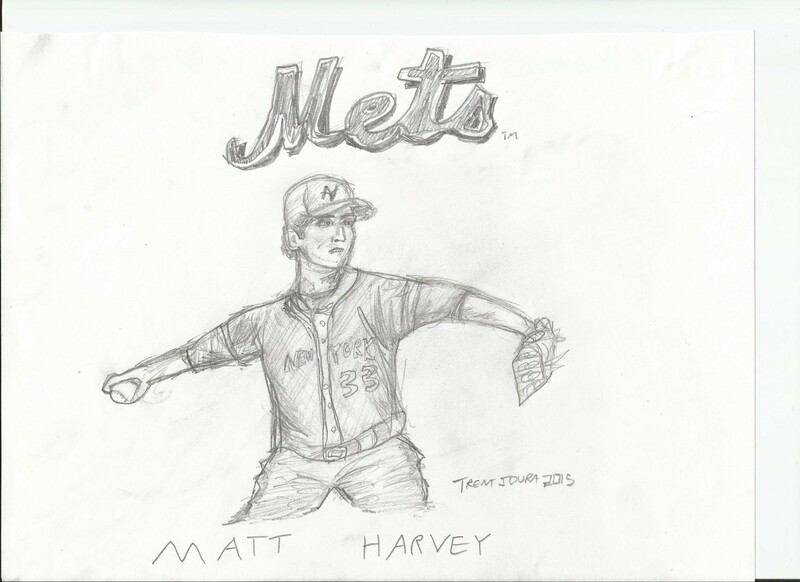 Speaking as an art critic and a Met fan I’d say this is very well done. That is a treasured gift and I know you will cherish it forever. Ha! I love it, Jim. Thanks everyone, for the kind words. Permit me to add to the kudos. How old is your son, Brian? Thanks for the kind words – he’s 12. He has a lot of artistic talent but he needs to practice every day. He’s much more into music than drawing right now. Thanks Joe! Right back at you to you and your staff. Beautiful. What a talented kid too. That’s awesome! You’re son is very talented. awesome. my nephew is 9 and gave me a framed drawing he did of Mr Met. its on the mantle in my living room.